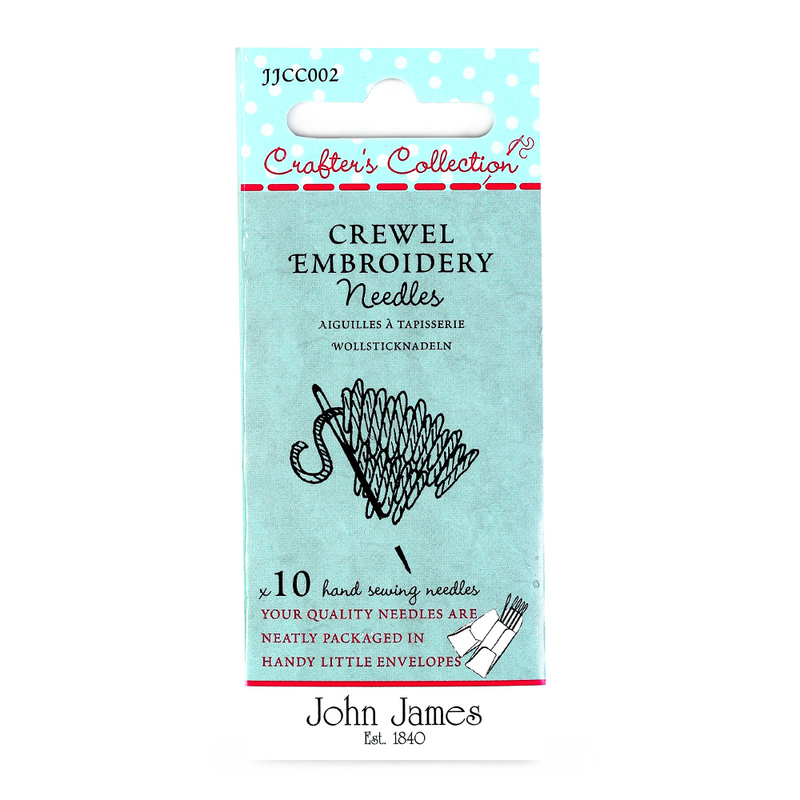 Size 22 to size 26 Chenille needles are slightly finer and have smaller eyes than the Chenille needles in design JJCC001 Crewel Embroidery. The needles have large eyes and are still relatively easy to thread. This combination of needles is best used on fine to medium fabrics and in addition designed to be used in Jacobean work.